Thanks so much to everyone who entered!! 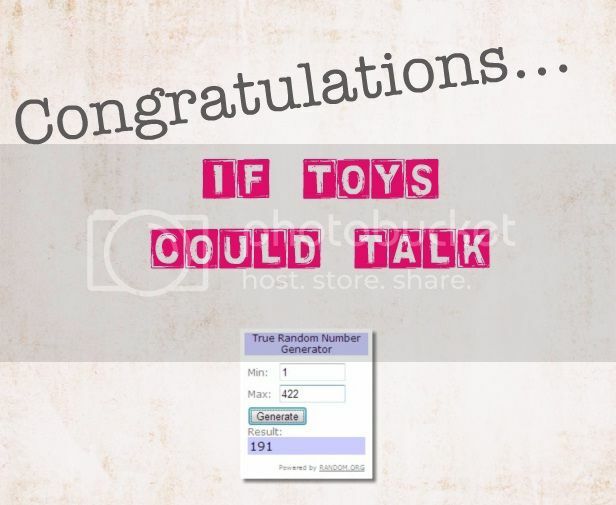 If Toys Could Talk, just drop me an email with all your info and I will forward it on to Shabby Apple. So drop by in the coming days to see what's instore.